This report explores the growth prospects for the ocean economy, its capacity for future employment creation and innovation, and its role in addressing global challenges. Special attention is devoted to the emerging ocean-based industries in light of their high growth and innovation potential, and contribution to addressing challenges such as energy security, environment, climate change and food security. 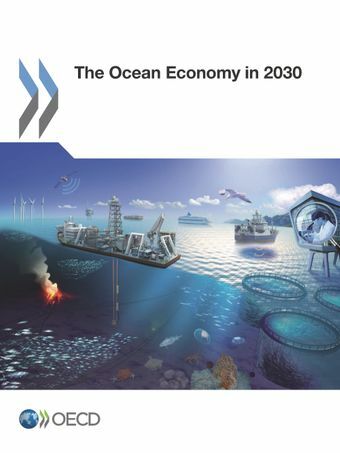 The report examines the risks and uncertainties surrounding the future development of ocean industries, the innovations required in science and technology to support their progress, their potential contribution to green growth and some of the implications for ocean management. Finally, and looking across the future ocean economy as a whole, it explores possible avenues for action that could boost its long-term development prospects while managing the use of the ocean itself in responsible, sustainable ways. Russian Экономика океана в 2030 г.